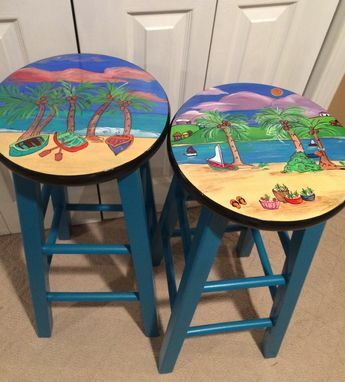 This customer asked if I could create two bar stools, that use Miami style colors and designs. I wasn't sure what that design was, but after further communications and some picture references, here's what we came up with. GORGEOUS!!! So colorful. So fun. I just LOVE the teal colored legs. 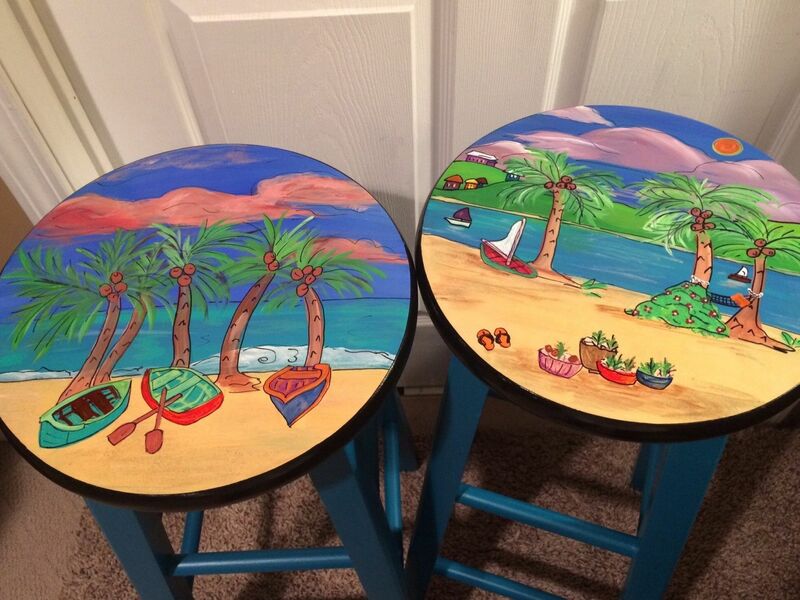 I can recreate one or both of these stools for you. 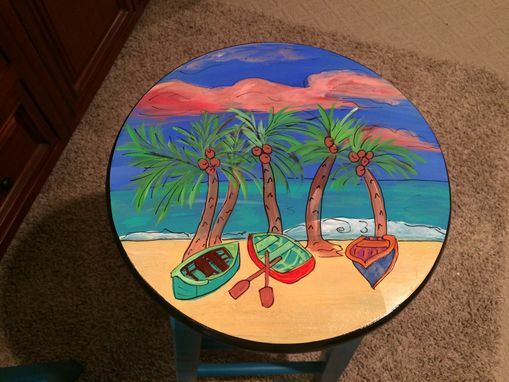 Or design and execute painted pieces to match your personal space. Contact me. I'd love to work with you!! 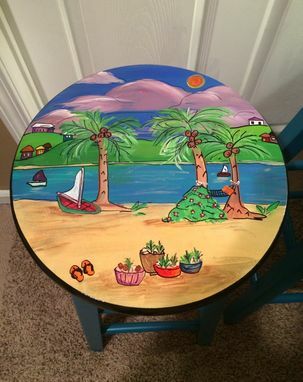 This listing is for a 24 inch tall stool. They are $145 each. But I do all styles and I'll Heights so contact me if you would like something different.